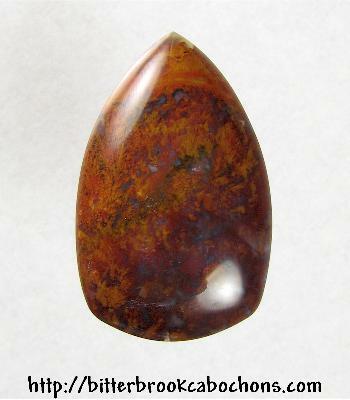 Here's a dark red and gold Moss Agate cab, freeform cut to a shield shape (sorry the photo is "upside down"). Back has saw marks. 36mm x 23mm x 6.5mm. Weight: 38.60 carats.